I know that he's supposed to be the front runner. I think he'd make a great Lando. They look alike! Yeah, I'd like him to be a young Lando! I'd seen Michael B. Jordan suggested, but as with the rumors he was in the running to play Finn, if he were Lando, he'd also steal Solo's girl in heartbeat. Also fun Donald Glover fact, the wide eyed/naive Appalachian character of Kenneth Parcell on 30 Rock is sort of an homage to Glover, who was a writer on the show. Glover wrote most of Kenneth's jokes, including having him say that he was from Glover's hometown of Stone Mountain, Georgia. also, the second person from girls! http://www.slashfilm.com/han-solo-female-lead/ I just saw this article on Twitter regarding the actresses in the frame for female lead in the Han Solo movie. I still don't know what to think about this project. I don't want to be negative about it when so little is known. It's not like I thought Han Solo hadn't been involved with other women before Leia, but I'm not sure how I feel about another canon pairing for Han. I do like that they are looking to cast a woman of colour for the role. I guess she might not even be a love interest, but if she is I do have to wonder how the fandom will react. People might get touchy about anything that threatens the notion that Leia was the love of his life. They'll cast the youngest of the 3, Naomi Scott. That's the way Hollywood operates. Keira Knightly was 17 in POTC:COTBP and 2 years later kissed Johnny Depp who was in his 40s. That's Hollywood for you. Mrs Ben Solo wrote: http://www.slashfilm.com/han-solo-female-lead/ I just saw this article on Twitter regarding the actresses in the frame for female lead in the Han Solo movie. I still don't know what to think about this project. I don't want to be negative about it when so little is known. It's not like I thought Han Solo hadn't been involved with other women before Leia, but I'm not sure how I feel about another canon pairing for Han. I do like that they are looking to cast a woman of colour for the role. I guess she might not even be a love interest, but if she is I do have to wonder how the fandom will react. People might get touchy about anything that threatens the notion that Leia was the love of his life. 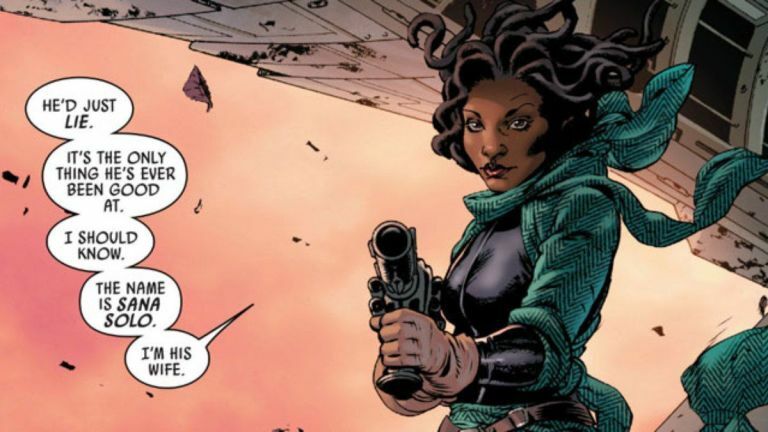 They had to cast a woman of colour for the role of Han's LI in the anthology.....Han's canon girlfriend/partner in crime (before Leia) was a bounty hunter named Sana Starros.... she even pretended to be his wife for one scam.....am 100% sure they're looking for an actress to play that role in the Han Solo movie. I doubt people will object much since she has already appeared in several issues of Marvel's Star Wars comics, initially trying to win Han back. I would love to see Candice Patton (from the TV show- The Flash) play the role of Sana Starros.. I'm not familiar with the other two actresses, but Zoe Kravitz is freakin' gorgeous (no shock, considering who her parents are), and she held her own just fine in Mad Max. I have heard about that character before. I guess most people will be okay with her and Han having a romance/flirtation if it's well done and it doesn't add up to much in the end. It's a shame that we know ahead of time that it can't really come to anything though because of Han meeting Leia sometime later. We don't even know where this movie will come in Han's timeline. 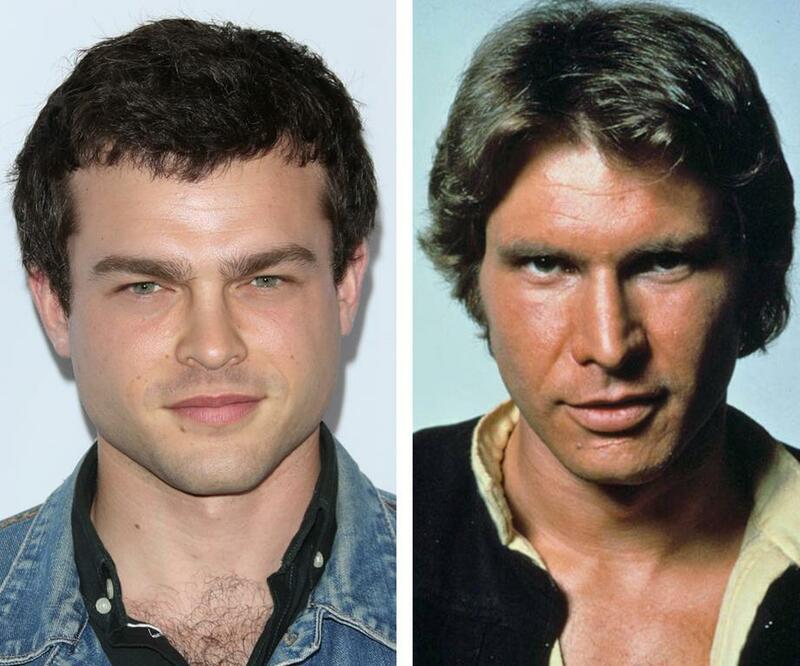 It's all pretty vague so far and Alden Ehrenreich doesn't look all that much younger than ANH Han. Am I the only one disappointed with the choice of Ehrenreich for Solo? For one, he's not even good looking, two, he looks the same age or even older than Ford did in Episode IV, and third, he doesn't look anything like Harrison Ford. I mean, completely different facial structure, nose, eyes, I mean, not a single resemblance. Add to that the fact that he's not that much younger so we can't explain it as changing with age... that's just weird. It's like John Connor in the many Terminators, and it gets kind of ridiculous. 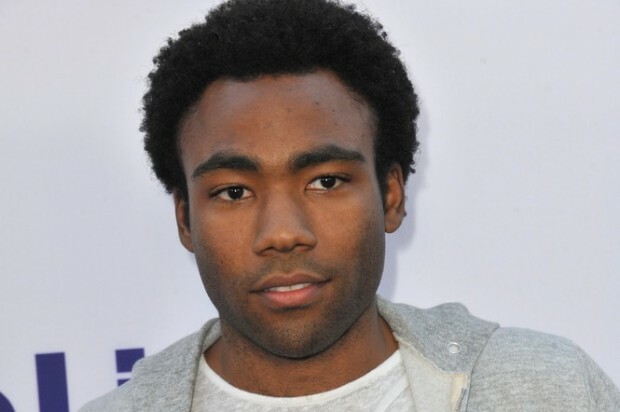 OTOH, Donald Glover looks right and he's good looking. @AceofWands wrote: Am I the only one disappointed with the choice of Ehrenreich for Solo? I'm not feeling this either. As far any potential LI, we all know how that's going to end, so there's no reason to get excited about it. Even without that, the Princess and the Smuggler are such an iconic couple, it almost seems blasphemous to me to pair him with anyone else, even though we know it would be temporary. To me, it'd feel like pairing Kylo Ren with any other female but Rey and I'm sure everyone here knows how I feel about that!!! It must be my history of watching soaps and serials, but I am usually always open to characters having other love interests if the writers and actors can make it work. Certain pairings (Scarlett and Rhett/Darcy and Elizabeth) are pretty impossible to top, but I have seen that "first love" thing work followed by a "love of your life" later in various things. For all we know this LI could be something like that and then she dies ... OR probably more likely he loves her, but she breaks his heart, which will make him the jaded dude we.meet in ANH. I also hate to say, but I'm not really feeling the Han Solo anthology movie (yet) either. I'm sure it will be well done...Disney is pretty good at that kind of thing, but I worry a little about the Marvel effect. I know the Marvel movies are super popular and I like some of them, but there's a lot about them I don't really care for because I think a lot of it feels like entertainment without much substance: something you watch and then forget about entirely because the story and characters don't really make much of an emotional impact. Is the movie an origin story? If so, maybe we'll see Han meet Chewie, Lando and see how Han obtained the MF (since the story will be different than what was presented in the EU). The movie sounds like it will be an action adventure with some comedy. Regarding a LI, I think the best bet is to keep Han single, but let him have a flirtation with someone(s). Maybe he could have a female "acquaintance" or fellow bounty hunter he has a bantering/competitive relationship with, but it never goes fully romantic...or like @Panki said, maybe they could have Sana Starros fill that role in the film (although I have some doubts they'll use characters from the comics for films). 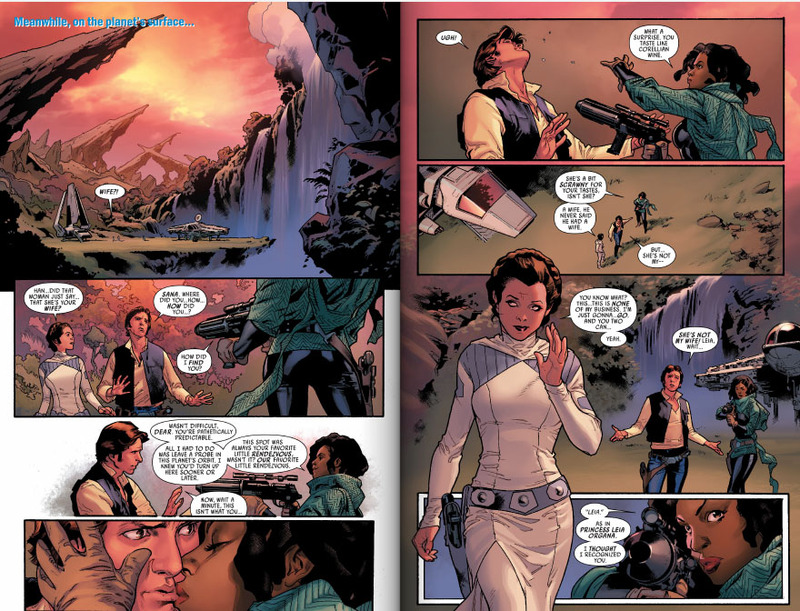 From the Han Solo comics it was clear Han and Sana had some sort of "past," but whatever it was, they were fully over each other at the time of the OT. She would fit the role well. The only advantage I could see for this spin-off is that Lawrence Kasdan is writing the screenplay. But otherwise, sounds like R1 in being an amuse bouche in between the actual courses of the meal. AE doesn't necessarily look like Harrison/Han, but after seeing him in Hail Caesar!, I have no doubt that he can pull off the Han Solo charm/swagger. He was seriously the best thing about that movie, which on paper, had a fantastic cast. And in Hail Caesar, he did appear to much more "classic Hollywood handsome" in the young Harrison Ford mold than he does in the headshot in this post. According to canon, Han had two women in his life before Leia- an unnamed princess from Boz Pity and Sana Starros....in the case of the unnamed princess, he saved her life and dated her for her money....later, her father the Sultan was so mad at him that he put the bounty of a Moon on his head. The second relationship is Sana Starros- who still wanted him back in her life after ANH and before ESB... but he was already interested in Leia by then. I'm certain the actress will play Sana because the comics briefly talk about their past and normally some other SW media will tell that untold story in a movie, novel or comic. Snap Wexley is the best example- appearing in novels, comics and a movie. Saw Gerrera was in Clone Wars, mentioned in two novels and now is appearing in a movie. My takeaway from the comics is that Han might have been in relationships before Leia but they only brought out the smuggler and scam artist in him- the guy with few morals we initially see in Mos Eisley Cantina. His love for Leia makes him care for something beyond himself- he takes an active part in the rebellion, he mentors Luke for 3 years to help him recover from his uncle and aunt's death etc...... so even if Han liked other women, Leia will always be the one who brought out the best in him so that cannot be diminished by a previous girlfriend. @panki wrote: I would love to see Candice Patton (from the TV show- The Flash) play the role of Sana Starros.. I love Candice. I also really love Tessa Thompson. I think Candice comes across as more vulnerable than Tessa in her acting. I'm not familiar with Sana Starros. How was her personality in the comic? Of the three actresses in the news, I really hope it is Tessa. Now that you mention it, maybe Candice Patton might be a little too vulnerable for the role of Sana....in the comics, Sana comes across as a female version of Han Solo (tough, quick thinking, morally ambiguous but a very caring person underneath it all)....I cannot imagine Han Solo ever ending up with a female version of himself- they'd kill eachother. I was listening to the Collider Jedi Council on youtube today and they discussed how the character might not be Sana, especially since they're considering Naomi Scott for the role (she is of part Indian origin) so in case they cast her as Sana, LF could have a lot of outraged fans on their hands.....I could have been wrong after all and maybe the role is for the princess of Boz Pity..... we don't know what she looks like so she can be of any ethnicity, Han Solo rescued and romanced her for her wealth so people who want Han and Leia to be special will get their wish... now when I think about it, that character might be a safer bet to show onscreen than Sana since he wasn't romantically interested in her but it was part of a con. Or maybe she's just a totally new character. We don't know what the relationship is yet, so it's hard to say. I for one would not object to seeing him with another woman for real or as a con. It was all in the past anyway. I imagine in order for the film to have impact they're going to place emphasis on why Han turned out the way he did in ANH. Fixation on money, frustration with bossy women, the Falcon, etc. We shall see. The comics make it clear Han and Sana were in at least a physical relationship as mentioned by Sana in the comic (I'll attach a page that makes interesting reading)......... they got married as part of a scam but never ended the marriage.....Han took Sana's share of the money and ran off and Sana was chasing him ever since. Han tries to deny being married because he loves Leia and he only married for the scam but Sana has their marriage documents on her ship. Now that I think about it, I doubt they'd leave such an important character out of a Han Solo movie and an event as big as a marriage as an untold story.....even if they don't show the full romance, am sure they'll show the scam and wedding part. I don't recall Han being married in the EU before meeting Leia....wonder why LF took such a drastic step?